In 1952 Charlie Chaplin decided to make one last great film, Limelight. This film was about a fading clown who passes on his skill and love of performance to a young dancer. It's a story that is very close to the Japanese idea of a master passing on his skill. The was of the samurai is to recognise that when something is challenging you alter the nature of your surroundings. In this affectionate tribute to the history of Japanese cinema, writer Hiroyuki Ono transfers the Chaplin plot to Uzumasa, to celebrate the genius of the past and the enthusiasm of the upcoming generation. Uzumasa was once home to over 100 Kirareyaku - samurai that specialize on being killed on screen. For prowess, personality and encounters this particular samurai values acquaintances, including administrators, suppliers and movie stars. 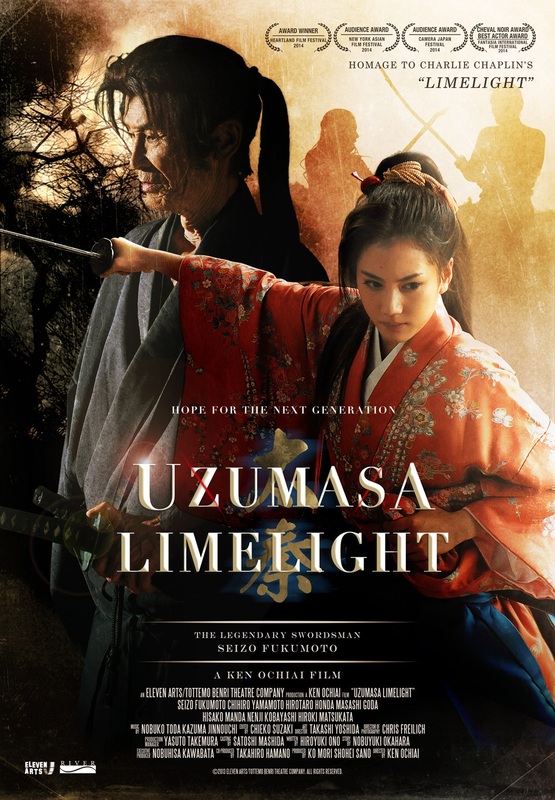 Due to the decrease of the audiences wanting to see the samurai in action and curiosity towards jidaigeki movies, the business they operate has seen a decline and they have decided to stop all similar productions, consequently to introduce new faces in their next films. Hence, Kamiyama finds himself with no film to appear in and at the end of many years he finally ends up playing in a samurai in a theme park, an idea that brings disgrace on both him and his friends and colleagues. By chance, he meets a young girl, Satsuki (Chihiro Yamamoto) who has now become his disciple. He begins to train her in this dying art of dying and she brings renewed attention to the chanbara genre and becomes what Kamiyama was never able to become...a star of the samurai. Ken Ochiai based this movie upon the history of these broadly unknown males, portraying in melancholy their decrease and that of the jidaigeki movie generally speaking. That is reasonably presented by the film industry, one among the most distinctive examples of the aforementioned. For the reason that style and crime movies gradually replace the samurai movies and the portion of the business that connected with the second is left dangling, not having the ability to adjust after a lot of years. The older people of the specific production company, due to the regard they obtained over years of assistance with Kamiyama and the rest of the Kirareyaku, try frantically to find work for them. Upon the new people, including suppliers, administrators and stars, who want nothing to do with the past and are totally disrespectful towards the veterans. This personality likewise presents a new trend in the business, with pop stars become protagonists in movies due to their recognition instead of their performing capabilities, a strategy that leads to mediocre shows, to say the least. On the other hand, the upper limbs, as Kamiyama, are actually disgusted with the new methods included with the movies, as is the utilization of CGI for instance, especially since they cannot comprehend that methods it took decades for them to ideal, are actually therefore quickly replaced by technological development. This movie is a breath of fresh air. It's characters have great back stories and you immerse yourself in the world of the forgotten samurai that has elements of the modern day feeling about times when we can lose our way and job security. Its a must see and although it might take a while to get into it, this film is worth seeing.